Fukuoka wasn't really on my travel map until cheap tickets made me decide to go. The adventurous side of me wanted to visit another part of Japan as I've been to the usual places on my earlier trips. I didn't really decide on what to do and places to visit until the start of the day. I ended up deciding to visit Nanzoin Temple, because the other option was too far away. Indonesia is a diverse country with plenty of things to do and experience. One way to describe this country is think of the Philippines but much bigger. 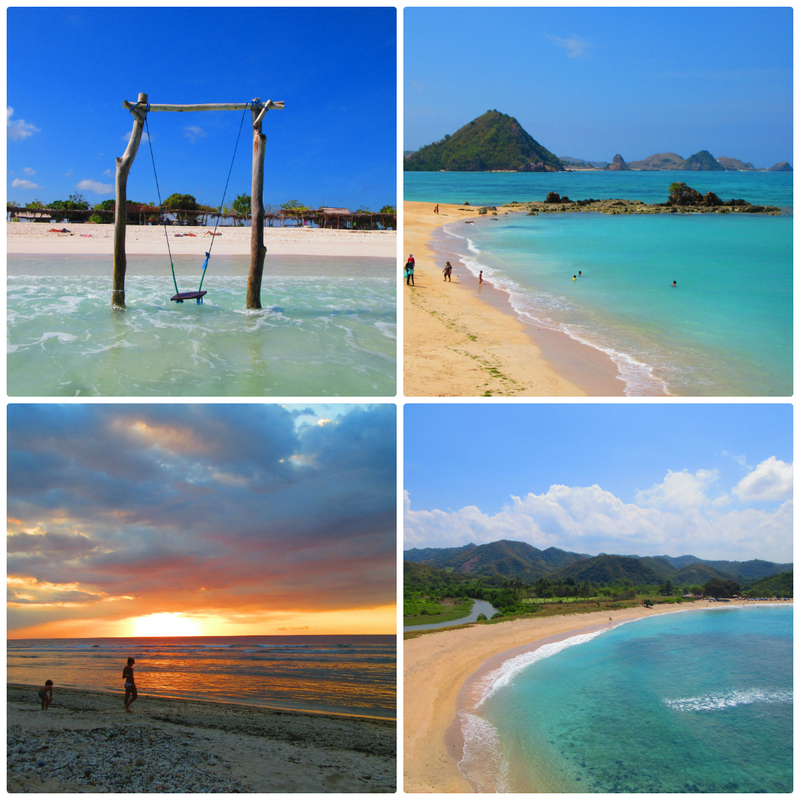 On my second trip to this country I decided to explore another part of it, which was Lombok. I've heard good things about this island, especially it's beaches. Here's a rundown of the top beaches I've been to on this beautiful island of Lombok. After exploring the ancient and UNESCO-listed town of Lijiang, I had time to explore the mountains. Snow Mountain was the nearest destination, and I heard good things about it. Renting a car on my own was expensive, so I decided to go to an area where vans shuttled people to the park. I wanted to visit another area of Japan during my return trip, so I decided to book tickets to Nagoya, the gateway to Central Japan. I had no clear and definite itinerary in mind because I wanted to be flexible and just add or remove destinations while I'm there. I ended up traveling to Takayama, Shirakawago, Tsumago, Magome and Matsumoto, and exploring Nagoya. It's been a couple of years since my first trip to Indonesia, I decided to return to explore another part of this beautiful country. For this trip I went to Lombok, a different island which reminded me so much of the provinces back home. This island has plenty to offer visitors who are looking for different kinds of adventure. In one of the days I was there, I decided to chase waterfalls. Lijiang is on a historical route in Yunnan, China; its old town provides visitors with a glimpse of its rich culture and past. I had the chance to visit this lovely place during my trip to this country. Dali was one of the places I had in mind when I was traveling in Yunnan, I decided to go because it was along the way and between the places I was going to visit already. I was on again and off again about taking the high trail of Tiger Leaping Gorge, I based my decision on the weather, which was rainy during the first week of my two weeks trip in Yunnan. However, the skies cleared on one of the days, which gave me the perfect opportunity to do the hike, which was said to be one of the most scenic in the region. Palawan is one of the best islands to visit in the world according to Conde Nast Traveler. There are many reasons this is so, I've been to the island a handful of times already and am planning to return. I was eager to explore another side of Japan, since I was arriving from Nagoya, I decided to head to Takayama. I didn't have much of a plan of things to do other than making it a stop to get to Shirakawago, so I kept an open mind and just decide what to do when I got there. It was towards the end of my trip in China and I was on again and off again about which place to visit. I was down to two choices, Dongchuan or the Stone Forest, after thinking about it before returning to Kunming from Dali, I made my choice. It was rainy and cloudy during the first few days of my trip around central Japan. I was already in Matsumoto and the weather was still bad, but after the first day, the skies cleared and I was able to visit Kamikochi. During my return trip to Singapore, I was looking for a comfortable place to stay that has easy access to the train station, restaurants and everything I needed. You may have already seen Hua Hin's beautiful beaches on a previous trip or you might've come across it while researching for an upcoming one. This coastal destination has more to offer than the usual beach and tropical attractions. It's been a while since I last explored Bangkok; I liked the city during my first visit. The bustling and vibrant city was a mix of old and new. The towering buildings and the neon lights of the shopping centers mixed with the old and royal structures. The tuktuks raced with the latest cars, and the old neighborhoods were next to the commercial districts. Walking around Bangkok was like entering a time warp. For this trip, our group was shown a different side of the city that I didn't see in my previous trips. The cities of Japan are fascinating; the bustling streets filled with pedestrians in Shibuya, the neon lights of the shopping centers and restaurants of Osaka and the trains that zip through each city like bullets are hallmarks of a developed country. However, that was not what I was looking for on this trip. I headed to the provinces to discover what Japan was like before. It was my third time in Singapore and I was looking to visit new places and re-visit old ones, because for this trip, I traveled with my sister (it was her first time in Singapore). Favehotel provides travelers an affordable place to stay while in Mataram. I stayed there for two nights during my stay in Lombok. I've been to both El Nido and Coron, but have yet to explore the nearby destinations in Puerto Princesa. For this trip to my favorite island, I finally go to explore Honda Bay. Despite the bad weather, the trip went well and I had a good time. El Nido is a backpacker's haven because of the beautiful islands off its coast. However, it's idyllic town is slowly transforming into a tourist hotspot with many establishments on the rise. One such place to chill in is SPIN Designer Hostel; this accommodation is a dream of weary backpackers looking for good value. Puerto Princesa is transforming into a tourist hub with many developments in place. The tourist boom will not happen immediately but will occur over the years. One place to relax after enjoying a trip to Honda Bay and the UNESCO-listed Underground River is Canvas Boutique Hotel. I initially wanted to go to Nami Island, but after reading about the historic Hwaseong Fortress I decided to go there instead. The fortress is a UNESCO Heritage Site that surrounds a developed city around 2 hours away from Seoul. Seoul is a vibrant and bustling city that has glitzy shopping centers and high rise office buildings, but exploring the city will take you back centuries to the time when the city was ruled by kings. A trip to Gyeongbokgung Palace will allow you to travel back in time. Five days is never enough to explore a city, let alone an entire country, but it was the only time I had during I visited Seoul, South Korea. It was a fulfilling experience to explore another Asian country. The city had Seoul (soul, pardon the word play hehe) and had many to offer visitors. Laguna is a nearby destination where visitors can do plenty of things such as go caving in Cavinti or visit the many resorts to cool down in. 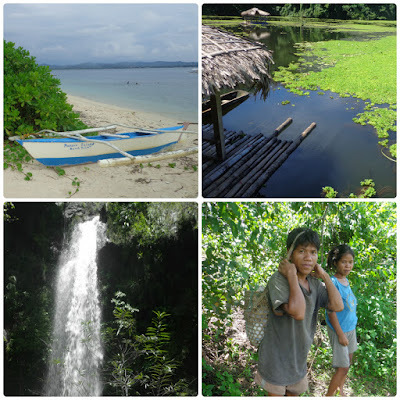 Two of the places you can visit are Hulugan and Aliw Falls. Tokyo is a bustling city; towering skyscrapers line the skies, neon lights lead to restaurants and bars and shopping centers light up the night sky in various districts. However, despite its modern facade, there are plenty of open and green spaces to just relax and slow down. South Korea's DMZ is a constant reminder of the country's, not only physical divide, but the ideological differences between the north and south. As someone who is interested in history, a visit to this part of South Korea was on my list before I went to this country. Towering skyscrapers, glitzy shopping areas, palaces and temples are an eclectic mix that give Seoul a modern yet old soul. Exploring this metropolis is fun but tiring; one will need a place of respite to get ready for a new day of discoveries. During my visit to this vibrant city, I stayed in Baro Ato Hotel. Kyoto wasn't exactly the place I thought it would be, but it didn't disappoint. The city is fast-paced but slow, modern yet has an old soul. Tokyo, like most of the best cities in Asia I've been to, combines its past and present. Among the skyscrapers, trains and cars are old buildings, temples and shrines that date back to centuries ago. Part of the reason I enjoyed the city so much was the sense of being in two different epochs simultaneously. It was my first time to attend a music festival, I didn't know what to expect, but I kept an open mind when I attended Malasimbo in Puerto Galera. I spent around 5 days for my Kyoto-Tokyo trip during autumn in 2015. It was nice to see the changing colors of the trees and the cool weather. I also learned a lot from a country that is decades ahead of the Philippines. When someone mentions Narita, most people would only think of the airport. This is because Narita Airport is one of the most busiest in the world. With millions of people coming and going, most overlook what they can do other than transit and head to their next destination. North Cotabato is not exactly the place you go to for a vacation. The stigma of danger still lingers, but our small group of adventure seekers decided to visit the province just to see Asik-Asik Falls. It was my second time in Coron, for this trip I wanted to try something else. I decided to go on a tour to visit the safari and (supposedly) Black Island. However, things didn't go as planned, but the adventurous side of me didn't mind. Kyoto is a historical city that has many UNESCO Heritage Sites, one of which is Nijo Castle. This site took me back centuries ago during Japan's feudal epoch. I have been to Coron back in 2013, it has been more than two years since my last visit. It may not seem like a long time, but to put things in perspective, I've been to other beaches in Southeast Asia. This allowed me to see something new in something that I have been to before. Jetstar Japan’s first international service from the Philippines has taken to the skies in a big way with its inaugural flight to Tokyo departing at full capacity, as travellers from Manila – and beyond – enjoy the new low-fares connection offered by Japan’s largest low-cost carrier. The first Japanese low-cost carrier to operate services in Manila, Jetstar Japan’s inaugural flight from Manila to Tokyo departed at full capacity at 1.05am, arriving at Tokyo’s Narita Airport at 6.15am. This is the first of its three new international routes scheduled for roll-out in the coming month. The success of the inaugural flight heralds a new dawn for travellers here and signals the support by local travellers for our brand and low fares to Japan, said Jetstar Japan’s Chairman, Mr Masaru Kataoka, in Manila today. I was in Japan for a few days, I was torn between staying the whole time in Tokyo or Osaka. I wanted to stay in the former because I had friends to meet there, while the latter was a place I was more interested in because of its history and culture. In the end I decided to go to both places, which was a rushed trip because I only had five days total in Japan. I only managed to scratch the surface on my trip to Occidental Mindoro, but it was an adventure. The verdant countryside, rural atmosphere, friendly locals, beautiful attractions and all the other travel cliches you can think of were present in this island. 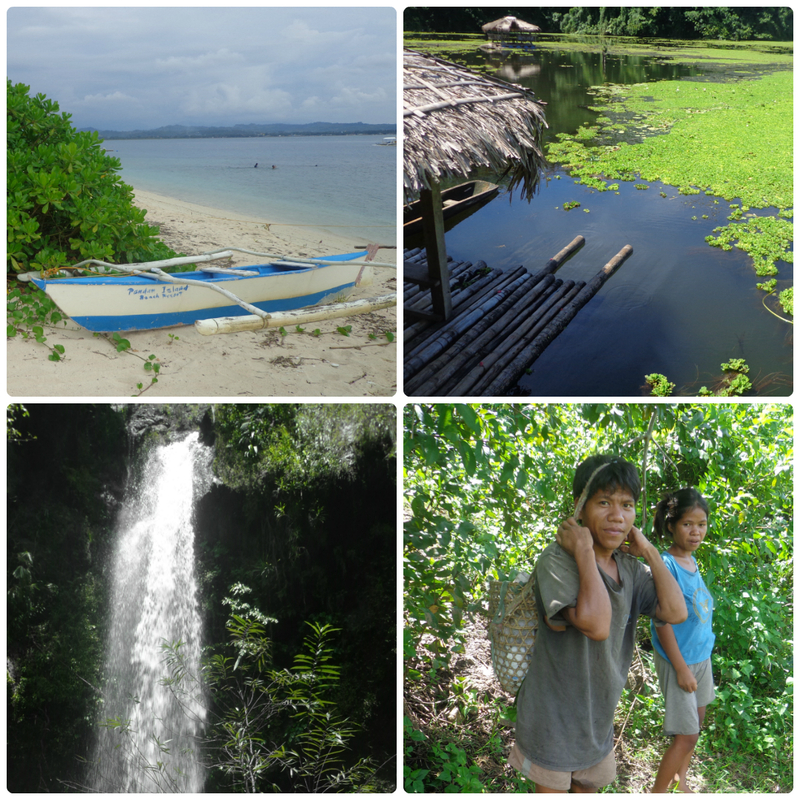 Our motley crew of travel buddies decided to go on a day trip to Minalungao National Park in Nueva Ecija. I have yet to visit the park and i was eager to hit the ground running once we got off the tricycle that took us there. 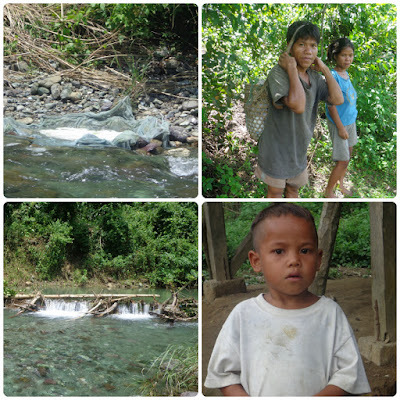 As we made our way through the countryside of Occidental Mindoro, we came across some of the indigenous groups on the island. After hitting the beach, we decided to explore some of the waterfalls and countryside of Occidental Mindoro. The adventure may have been tiring, but it was worth the aches and pains our bodies felt. Our trip to Occidental Mindoro was a we'll just wing it trip because our supposed trip to Apayao did not push through because of inclement weather. I only found out that the latter trip was cancelled when I already got home from work at around 8PM. My friend and I decided to go to the former on a whim with little to no planning.